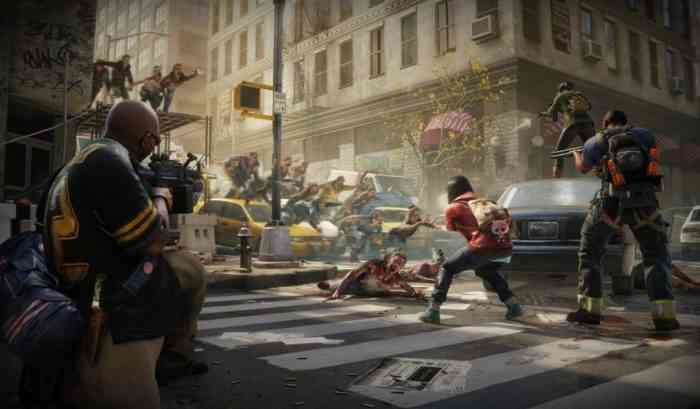 The four-player co-op zombie shooter World War Z is slated for an April 16th release, according to an official Tuesday announcement. The announcement also came with a new trailer that can be viewed below. Notably, it appears that World War Z is launching in the same month as another zombie shooter, Days Gone, which will come out on April 26th for the PS4. If you don’t know much about World War Z then here’s a basic rundown: it’s a globetrotting co-op shooter that involves four players who can use six different classes and a variety of weapons & traps. There are also five Player vs Player vs Zombies (PvPvZ) multiplayer modes that pit two teams of human players against each other while both teams have to deal with loads of zombies. If you’d like to learn more about this game then read a hands-on preview of it that we published last June.